QuickBooks is the most popular small business accounting software program available on the market. It is a low-cost accounting solution for most small businesses, and given the cost of the accounting software, it is surprisingly powerful. The QuickBooks Purchase Reports gives you information about your small business’s purchases and open purchase orders. In the Purchase Reports section, you will be able to pull reports that provide your company’s total purchase from each vendor, purchases by item and more detailed information about your purchases. These reports are useful for analyzing open orders, forecasting cash flows and estimating inventory levels. 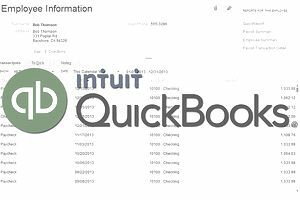 Here are a list of the most common QuickBooks Purchase Reports many small business owners use, along with a description of the information contained in the report below. QuickBooks Purchases by Vendor gives you information about your company’s total purchases from vendors. Both of these can be found on the purchases menu under Reports. Purchases by Vendor Summary: This report tells you the total amount of purchases from each vendor. Purchases by Vendor Detail: This report tells you the total amount of purchases from each vend broken down by each transaction that makes up the total. These two reports will only include purchases found on the Items tab (of bills, checks and credit cards) and will not include any transactions on the Expenses tab or any payroll-related expenses. QuickBooks Purchases by Item gives you information about each item or service your company purchased. Purchases by Item Summary: This Purchases by Item report tells how much of each item or service your company has purchased in both quantity and dollar amount. Purchases by Item Detail: This Purchases by Item report tells how much of each item or service your company has purchased in both quantity and dollar amount, and is broken down by each detailed listing of each transaction. QuickBooks Open Purchase Orders will give you information about your company’s purchase orders, including vendor, order date, amount, and more. Open Purchase Orders: The Open Purchase Orders Report tells you the vendor name, purchase order number, amount, order date and the expected delivery date for all your company’s open purchase orders. Open Purchase Orders Detail: The Open Purchase Orders Detail Report tells you orders your company has ordered. Open Purchase Orders by Job: The Open Purchase Orders by Job Report tells you orders your company has ordered for each job. Customer & Receivable Reports: These reports tell you how much your customers owe you. Jobs, Time & Mileage Reports: These reports give you information about your job estimates, including time, the amount spent and mileage for each job. Vendor & Payable Reports: These reports tell you how much money your company owes its vendors. Inventory Reports: These reports give you information about inventory value, stock and work-in-progress. Accountant & Taxes Reports: These reports give you information about your basic accounting reports and information needed to prepare your income tax return. Lists Reports: These reports will give you phone, contact and customer lists that you will find useful. You will also be able to fully customize a report if you don't find any that meet your business's unique needs.